The 10 Best RV Trips to Take in Massachusetts - Must See! Planning an RV road trip to the great state of Massachusetts? While there’s plenty to do in Boston, don’t forget to expand your horizons outside the city. In addition to the numerous activities in the state’s capital, Massachusetts has lots to offer outside Beantown, whether you’re a nature lover, a history buff, or a museum nerd. 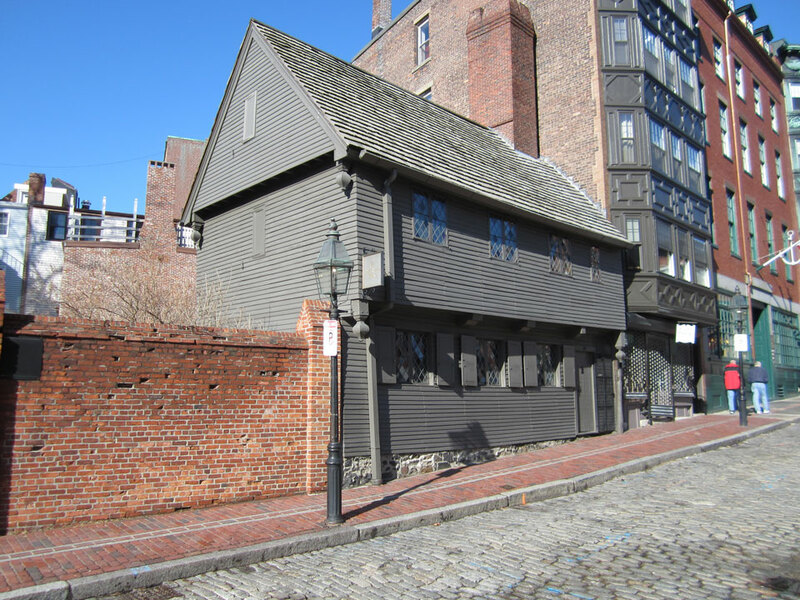 Kick off your Massachusetts RV trip itinerary with a visit to the Paul Revere House. Built around the year 1680, Revere lived in the three-story colonial home during the American Revolution. The house is now considered the oldest remaining structure in downtown Boston and was actually purchased in 1902 by Revere’s grandson to stop it from being demolished. Since then, the home has undergone extensive remodeling and restoration efforts, but about 90 percent of the house remains original to when it was built. Thanks to recent renovations, the Paul Revere House is now handicap accessible, plus the museum association recently opened a new 3,500-square-foot visitors’ center next to the home, meaning there’s never been a better time to visit. Head 30 minutes out of town to the Wompatuck State Park in Hingham, where the state campground has more than 400 campsites. The RV sites have 20-amp electrical hookups but none for water or sewer, though you’re free to use the on-site bathhouses. Water stations are also available to fill your tanks, and an on-site dump station is provided for guests’ convenience. Still need to rent an RV? There are plenty of campers and motorhomes available from RV owners across Massachusetts for as little as $50 a night. If you’re looking for Massachusetts RV trip ideas off the beaten path, consider taking a trip to Salem. The Salem Witch Museum stands in recognition of the witch trials of 1692 and 1693, in which 14 women and six men were executed on the belief that they were practicing witchcraft. While officials have since apologized and offered restitution to the victims’ families, the events are still remembered to this day and the trials are now used as a cautionary tale of the dangers of mass hysteria. The museum helps puts the ordeal into context with both a historical and modern-day perspective through a variety of exhibits and displays. The City of Salem’s Winter Island Park is your best bet for RV camping in the area if you can snag one of its 57 campsites. RV sites are available with both water/electric hookups, as well as some with just electrical hookups. The park also includes a public beach, camp store, and access to the Salem trolley. Want to keep looking? Check out this guide of the top 10 campgrounds and RV parks in Massachusetts for more ideas on where to stay when you’re passing through the area. Massachusetts is one of the most beautiful states in the U.S., so make some time to recharge in the great outdoors at Ramblewild. 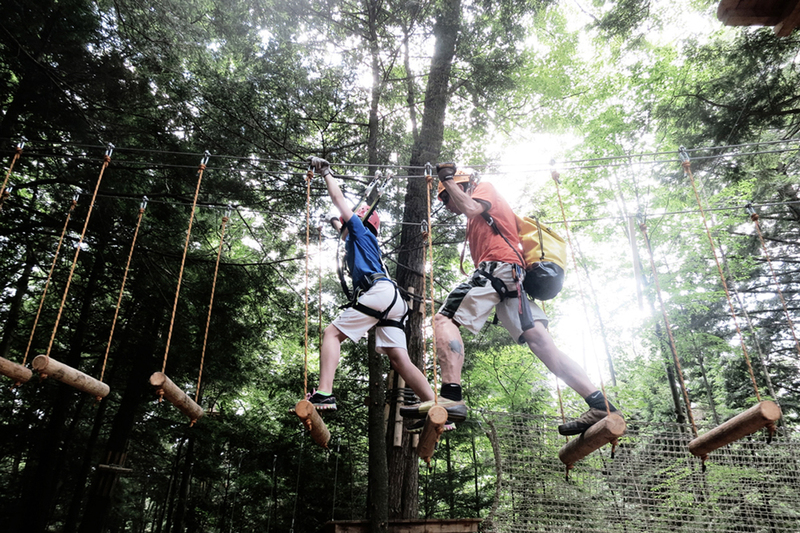 Located in the city of Lanesborough, the tree-themed adventure park is the perfect place to test your limits. Ramblewild’s 900-acre property has eight different tree-to-tree trails, a giant zip line, and even a saddle that will swing you from one side of the park to the other. The caretakers brag that there are 135 ways of getting from one tree to another, from bridges to ropes to pulleys and everything in between. Don’t worry if you’re a beginner or you’re traveling with children — the activities are open to everyone taller than 55 inches or 7 years and older, and staff from Ramblewild are always on hand to make sure you’re comfortable and safe the whole time you’re there. Just a five-minute drive from Ramblewild you’ll find the Hidden Valley Campground, a pet-friendly RV park in Lanesboro. The 40-acre campground has 90 campsites with water and electric hookups that can accommodate RVs up to 45 feet long. Each site has a fire ring and picnic table, and Hidden Valley also has two bathhouses with hot showers. Before you book, be sure to check the website, as the RV park occasionally offers discounts for police, fire, EMS, and military personnel. For Massachusetts RV trips with kids, there’s no better place than the newly established Amazing World of Dr. Seuss Museum in Springfield. Opened since June 2017, the museum is an homage to beloved children’s author and hometown hero Theodor Geisel, better known by his pen name, Dr. Seuss. With two floors of bilingual, interactive exhibits, visitors can learn more about Geisel, as well as the many characters he brought to life, in rooms inspired by each of his classic books. Admission to the museum gets you into four other museums on site as well, so arrive early and plan to make a day of it. Head east to the town of Monson, where you’ll find two great options in the Partridge Hollow Camping Area and the Sunsetview Farm Camping Area. At Partridge Hollow, RV campsites have full hookups for water, electric, sewer, and cable, while the campground itself has modern bathhouses, a laundromat, swimming pool, batting cage, camp store, shuffleboard courts, and more. You can also check out Sunsetview Farm, which has pull-through RV sites with full hookups on 30 amp or 50 amp electrical service. The RV park has a swimming pool, coin showers, laundromat, snack bar, ball field, and more. Located in Rockport, the Paper House is exactly what you’d suspect it would be — an entire house made of paper. A mechanical engineer named Elis F. Stenman started building the home from newspaper in 1922, originally intending for the paper to serve as insulation on the home’s wooden frame. Instead, as he continued varnishing the paper insulation, he grew more and more curious about how it would hold up on its own. The result, as you can see, still stands today. 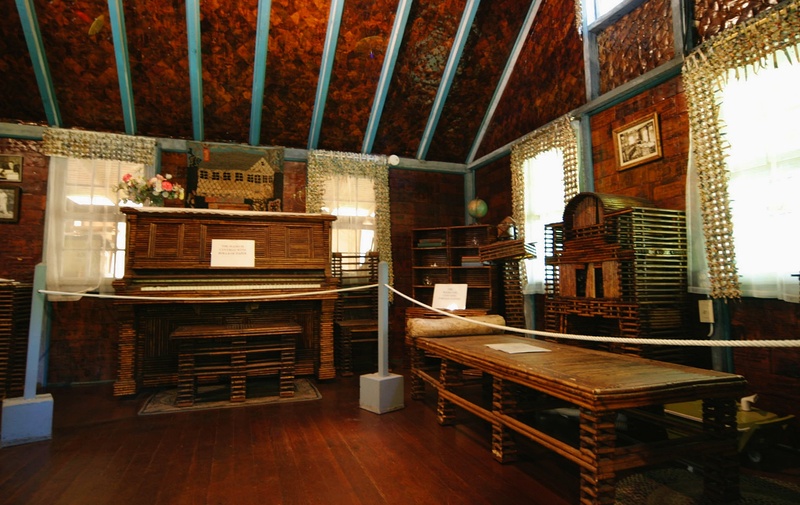 Inside the quaint little home, Stenman’s homemade paper furniture, including a piano and a desk, look no worse for the wear, serving as a testimony to his craftsmanship all these years later. Because the Paper House is somewhat off the beaten path, the home’s caretakers recommend checking the website for directions before you leave. Twenty minutes south on 127 is the Cape Ann Camp Site, the closest RV park in the area. The family-owned campground has more than 200 campsites ranging from primitive to those with full hookups. You’ll also find six bathhouses with coin-operated showers and a picnic table at each site for al fresco dining. While it might not be on your radar, making a visit to Nantucket to see the Whaling Museum is one of the best RV trips Massachusetts has to offer. Fully restored in 2005, the museum is a great way to catch up on the history of Nantucket and its rich legacy of maritime activity. In addition to exhibits highlighting the dangers faced by whalers, a 46-foot skeleton of a bull sperm whale is suspended from the ceiling, making for an impressive photo background. With your $20 entrance fee, you’ll get admission to other historic sites around the island, including the Old Mill windmill and the oldest house in Nantucket, so it’s a good place to start if you’re lost about what to do. Head back to the mainland to check out the Campers Haven RV Resort in Cape Cod. The campground has 275 full-hookup RV sites, each with cable TV, a picnic table, and charcoal grill. Guests at Campers Haven can also make themselves at home on the 500-foot beach, the mini golf course, the snack bar, or the bocce ball and shuffleboard courts. You can also try the nearby Sweetwater Forest RV campground, which has 250 wooded campsites that include some with full hookups and others with just water/electric. You can’t say you’ve really been to Massachusetts without paying a proper visit to the Samuel Adams Brewery in Boston. Even if you’re not a drinker, you can appreciate the history of the brewery and its founder, Jim Koch, who created the signature beer with his great-great grandfather’s recipe. On the one-hour tour you’ll learn more about Koch’s unlikely success, as well as the brewing process used to make the company’s award-winning beers. Tours are held on every day of the week but Sunday, and you can even fill a growler to take with you on the rest of your trip. Because tours are given on a first-come, first-serve basis, it’s recommended that you get there early to nab a ticket, especially if you’re planning to arrive on a Saturday, when the brewery is typically most busy. While RV camping isn’t readily available inside downtown Boston, just a short drive outside the city you can find great campgrounds like Normandy Farms. The luxury RV park has everything from basic setups to premium campsites with full hookups for water, electric, sewer, and cable. At the resort, you’ll be treated to everything from essentials like self-service laundry and full-service restrooms, to amenities like a fitness center and recreation lodge, to services like a concierge and pet walking. The setup is so glamorous you’ll forget you’re camping. Next up on our list of iconic Massachusetts RV road trips is a tour of Fenway Park in Boston. Built in 1911, the ballpark is a beauty to behold even if you don’t know much about the Red Sox. The one-hour tour will catch you up to speed not only on the team but on its famous players, home field, and historical legends. Tours are held seven days a week from 9 a.m. to 5 p.m., with the last tour departing three hours before game time on game days. By the time it’s over, you’ll be itching to see a ball game and craving a hot dog and an ice-cold drink. Head west to the Circle CG Farm Campground in Bellingham for full hookup RV sites on a 30-acre wooded campground. With three pools, an Ole Opry Hall, a camp store, mini golf, fishing pond, shuffleboard, and more, there’s something for everyone to do. Interested in finding other campgrounds around the Boston area? Check out RVparking.com to find options all over the state of Massachusetts. Paying a visit to Harvard won’t necessarily make you smarter, but it doesn’t hurt to try. With its reputation as the top higher education institution in U.S., the university welcomes thousands of visitors per year, from tourists to prospective students. Free tours are held daily and led by students, so you get a feel for what life on campus is like today in addition to learning the historical perspective. While you’re there, you can check out one of Harvard’s many museums, from the Arnold Arboretum to the Graduate School of Design to the Peabody Museum of Archaeology and Ethnology. Don’t leave without grabbing a T-shirt from the gift shop so you can brag that you “went to Harvard” when you get home. Forty minutes up the road is the Boston Minuteman Campground, a family-friendly RV park with both full hookup sites and sites with just water/electric. With a volleyball court, bocce ball, basketball, playground, and heated swimming pool, it’s perfect for both kids and adults looking for some R & R. WiFi is also available for email and basic browsing. Last, but certainly not least, on our guide to the best Massachusetts RV vacations is the New England Aquarium. Located in Boston, the aquarium gets more than 1.3 million visitors per year. The centerpiece is a 200,000-gallon giant ocean tank surrounded by a spiraling walkway for different views of the marine life. Exhibits include a tide pool with starfish, sea urchins, and horseshoe crabs; a New England-esque habitat with lobsters, octopi, and shorebirds; and a coral reef with a host of smaller sea creatures. You can also watch films like the Great White Shark 3D in the aquarium’s IMAX theater or even book yourself a seat on a real-life whale watch with Boston Harbor Cruises. End your trip with a stay at Berry’s Grove Campground alongside scenic Lake Mascuppic. With 24 RV campsites with full hookups for water, electric and sewer, the quiet campground is a peaceful reprieve from city life. While it caters mostly to long-term residents, the campground’s owners do rent to RV campers on a shorter term basis, depending on site availability. We hope you’ve enjoyed our free Massachusetts RV travel guide and Massachusetts RV travel tips! As one last word of advice, be sure to call ahead before you get your heart set on any one destination, as some attractions have different hours based on the season. Whether you find yourself at Fenway Park or the Amazing World of Dr. Seuss Museum, any trip to the Bay State is sure to be one for the books. We wish you a wonderful vacation and hope you truly enjoy your time in Massachusetts. Safe travels, and happy camping!